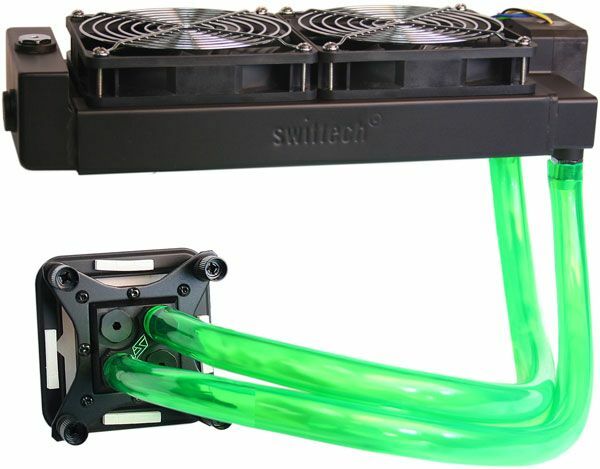 Long Beach, CA – November 3rd, 2011, - Rouchon Industries, Inc. dba Swiftech® today announced the release for retail sales of the H2O-x20 Edge “HD” series liquid cooling kits using their new flagship CPU waterblock the Apogee™ HD and the patent pending MCRx20 Drive (Rev3) series of PC radiators. Swiftech offers a wide variety of advanced air and liquid cooling solutions for the IT industry, and is working with leading OEM’s, semi-conductor and PC manufacturers as well as a network of over sixty leading distributors worldwide. The principal business of Swiftech is the development, manufacturing, and sales of thermal management products. They are divided into three categories of cooling products: air, liquid, and thermoelectric. Because Swiftech products have garnered innumerable industry awards in each one of these categories, the company has acquired the confidence of its customers, small and large, to resolve today’s most acute thermal management issues, and contribute in shaping the future of the personal computer cooling industry. You can visit Swiftech’s website at: http://www.swiftech.com.